With a month to go before the big moving day, you may be feeling like you'll never get it all done, and that's why you need a list. A basic checklist helps you to stop looking at the big picture and start concentrating on the small steps, which is what moving a home is all about. Four weeks to the deadline is a good time to start taking care of items that can be scheduled in advance, such as canceling utility service and newspaper delivery, as well as making final arrangements for your trip to the new location. 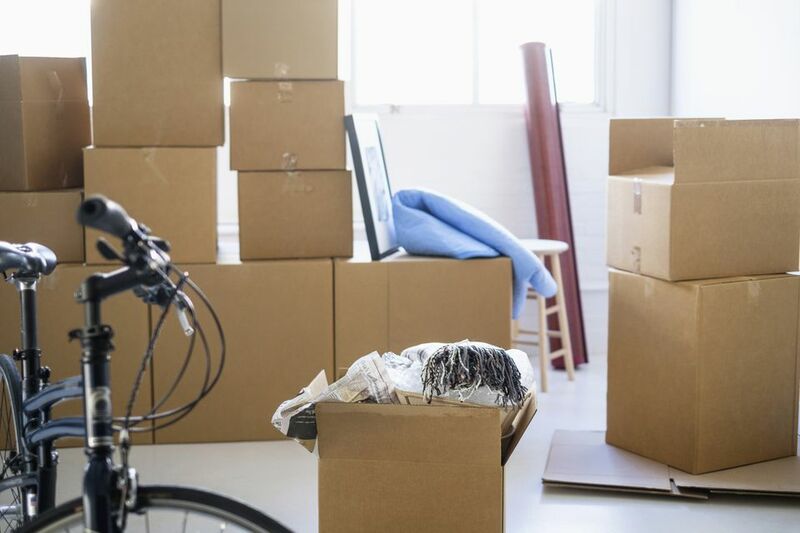 Tackling these now will allow you to be more flexible later for dealing with unexpected matters that might pop up closer to the move. Contact all applicable utility companies to schedule the date when your service can be disconnected and, if necessary, the date it should be reconnected in your new home. Services may include gas, electricity, water, telephone, Internet, and cable or another TV service. Also notify any maintenance services for things like house cleaning, lawn mowing, and pool maintenance. Make sure to schedule disconnects for after your move date. You don't want to lose power or have the water shut off the morning of your move. If you plan to move yourself, reserve a truck or trailer. You'll also have to determine what size of truck you need. If you're moving during the summer, you might want to book your reservation even earlier—perhaps eight weeks before you move—to avoid the usual summer moving rush. Make or confirm all of your travel plans, such as booking flights and hotels or making calls to family members you might need to stay with at your destination or along the way. If you're flying with your pets, make sure you have the necessary documents and carrier(s). If you're driving to your destination, this is a good time to plan your route, how you'll travel with the kids and, what to take with you in the car. If you'd like to pack more stuff in the car, you may want to consider purchasing or renting an overhead carrier. While they might seem expensive, the upfront cost can save you money in the long run. Once you've decided what will travel with you, do a test run to make sure it will all fit in your luggage or the cargo areas of your car. Don't be one of those people who waves goodbye to the moving truck before realizing that not all of the remaining stuff will fit into the car. Begin dismantling any outdoor furniture, children's play equipment, and outdoor structures you plan to move. Check the garage, attic, basement or crawlspace, and other storage areas to determine what needs to be packed. These areas are often overlooked when packing the rest of the house. They also tend to contain a greater volume of items than it may seem. Call to schedule a stop date on delivery of local newspapers, bottled water, and any other goods regularly delivered to your home. Transfer magazines and other subscriptions to your new address. Complete an IRS change of address form. Contact the local post office to arrange a change of address so that any mail that comes to your old residence will be forwarded to the new address. By now, you probably have a few boxes packed, maybe more, and they're starting to get in the way. If you have a spare bedroom or study or enclosed porch—any room that you don't use on a daily basis—designate that space as your "moving room." Packed boxes and individual items that need to be moved can all be stored there to keep them out of the way. If possible, pack the original contents of the "moving room" first so you'll have more space to work with.